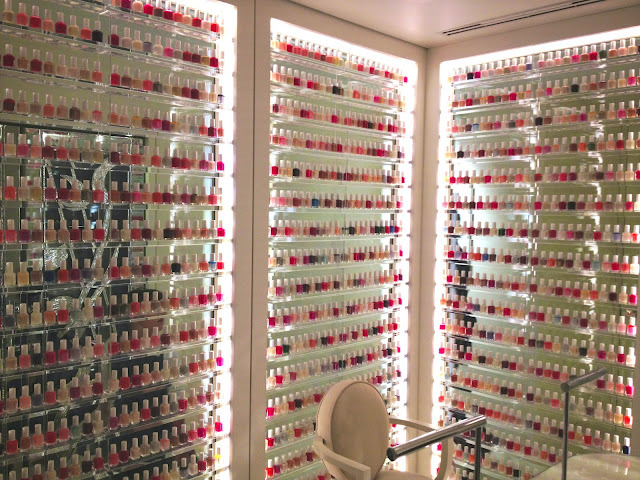 Let's take a moment to admire this gorgeous nail polish room, it's a beauty lover's candy land. 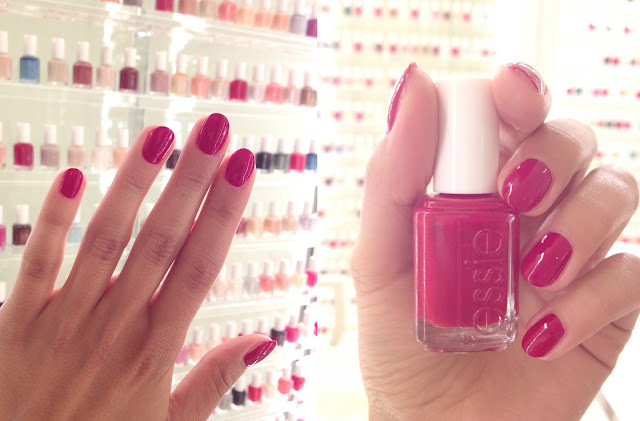 This little nail salon is located at the ultra glam Dorchester Hotel Spa. Everything at this spa is pretty pricey, to say the least, and I actually much prefer the $12 mani's I get in NYC! But it was fun sitting there taking it all in and the spa itself is just gorgeous. Definitely not something you see everyday! May I know which top coat do you usually use? Thanks a lot! Holy Nail Polish!!!!! I wish I had a lot of nail polish though. Your blog is great, I often consulted. Any I have a question for u... that how u do ur body hair removal??? Is it shaving or waxing? If itz waxing then u do by urself.. or get waxed from a salon?? This is my kind of room. I would feel great getting a manicure at a place like this. Whoaaaa! That place is like heaven! lol Love the nail color. Can't wait for your next blog post!